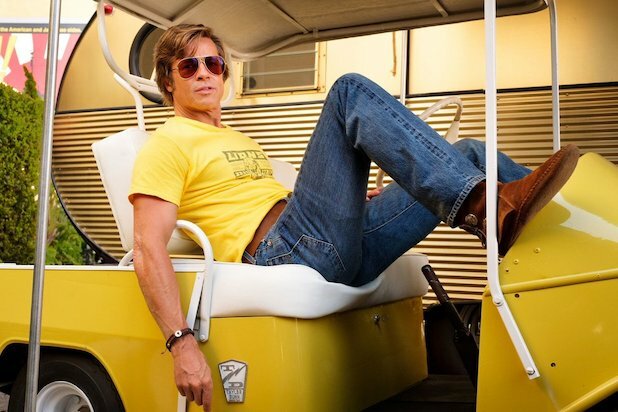 In the new shots, which were first published by Vanity Fair, Margot Robbie (as Sharon Tate) is also dancing in the sunlight and struts down a Hollywood street, while Brad Pitt looks mightily laid back. 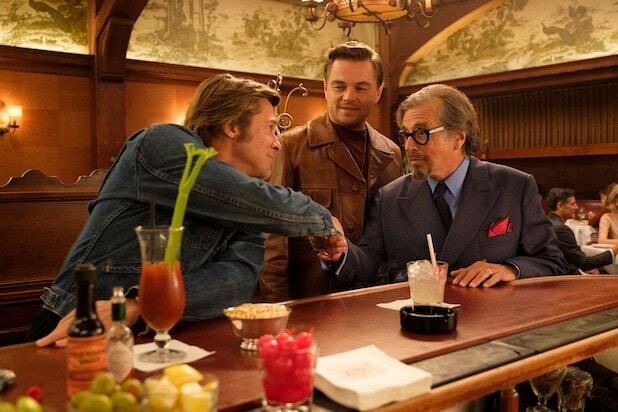 And we even get our first look at Al Pacino as Hollywood agent Marvin Schwarz as he and DiCaprio’s character dine at the legendary Hollywood restaurant Musso & Frank’s. These sunny, colorful images might not be what you would expect from Tarantino or from a movie that is supposed to invoke Charles Manson and the subsequent murders he inspired. 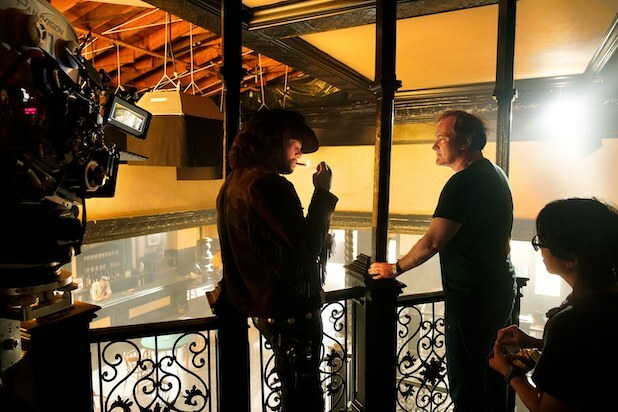 But Tarantino clarified to Vanity Fair that the film is a tribute to the final days of Hollywood’s Golden Age in 1969, rather than specifically be about Manson. 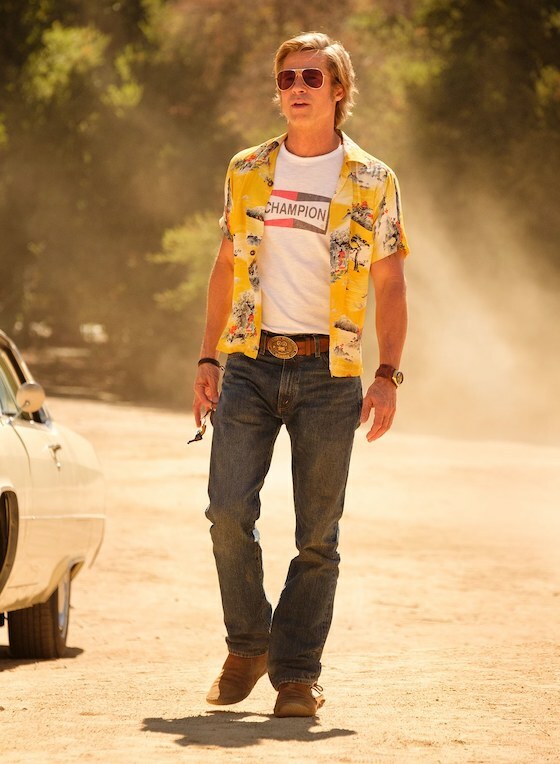 The film also stars Margaret Qualley, Scoot McNairy, Dakota Fanning, Timothy Olyphant, Kurt Russell, Emile Hirsch, Tim Roth, James Marsden, Damian Lewis, Lorenza Izzo, Sydney Sweeney, Rumer Willis, Luke Perry, Clifton Collins, Jr., Michael Masden, Zoe Bell, Bruce Dern, Harley Quinn Smith, Lena Dunham, Danny Strong and Damon Herriman as Charles Manson. We’ve yet to get a glimpse of Manson himself, but he’ll surely insert himself into this story before long. 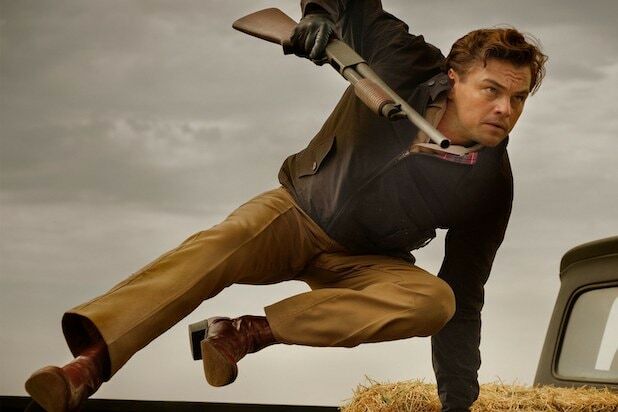 “Once Upon a Time in Hollywood” opens from Sony Pictures on July 26. Check out the new images, as seen in Vanity Fair, below.